It’s a little past midnight, and you’ve had a few drinks- enough to know that you’re feeling tipsy. You tell your friends that you can drive and even insist that you’re okay. You demonstrate by walking in a straight line while you touch your nose with your eyes closed. Your friends finally relent, and you get in your vehicle thinking that everything will be fine. Besides, what are the chances of getting caught? It’s a Thursday night, and your house is only fifteen minutes away. So you begin the drive back home and notice that you’re driving is a bit shaky. Then you see the bright flashing lights in your rearview mirror. Your heart starts pounding as the officer asks if you’ve been drinking, but by now you are already aware of the serious consequences. There are huge penalties to defer people from driving under the influence but if there’s any reason not to drink and drive, it’s that you could seriously injure, or even kill someone. According to the National Highway Traffic Safety Administration (NHTSA), more than10,000 people were killed in alcohol-related accidents in 2010. It’s due to statistics such as those that states are cracking down hard with huge penalties. If your blood alcohol content is recorded at .08, then you will be arrested for driving under the influence (DUI). The following are the steps you will need to take after being convicted. 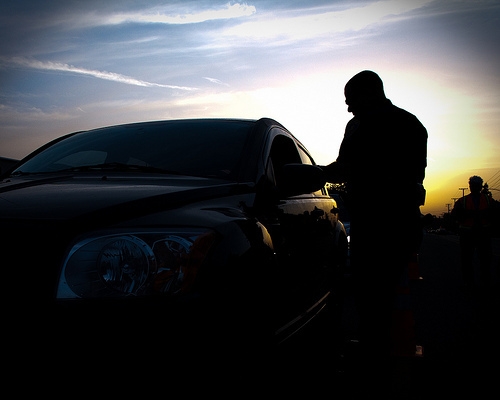 DUI laws are complex and not something the average citizen understands. The specifics of the law also vary depending on where the DUI happened. The first step is to hire the best DUI attorney you can, who specializes in this part of the law. Experienced attorneys will know how to best defend you, along with have the best knowledge of what your rights are in this specific case. While other lawyers will get you through the case, someone with the specific experience and knowledge of a DUI case will ensure you are getting the best representation possible. From the time of your arrest, you have a very short window to make a request for a DMV hearing to determine whether you are allowed to keep your license. Missing this hearing will result in an automatic suspension of your license. Your sentence will then be determined in court in which you will be ordered to pay a fine and have your license revoked for a certain period of time. The exact sentencing varies in every state, but most offenders are typically required to do community service and attend educational programs. After fulfilling all conditions of your punishment and paying for all the fines, you are eligible to get your license back. An SR-22 form will need to be filed from your insurance company as proof that you carry the minimum amount of insurance to drive. You will need to check with your local DMV for additional conditions you need to meet before regaining your license. Previous story What Is A Pellet Stove?